Do you live in Sandy Springs? 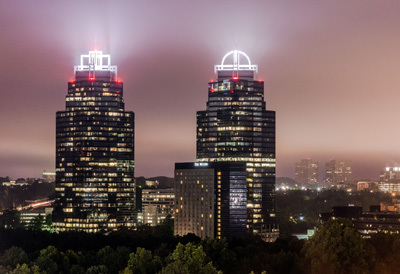 Over 100,000 people call Sandy Springs, Georgia their home. That›s over 40,000 households and over 20% of them have children under 18. Median age is 33 which means you are likely to have kids and work - which leaves less time for housecleaning! Hiring a professional maid service is affordable and improves your quality of life. If you are looking for a cleaning company, Image Maids would love to help. We offer different packages of cleaning options. Choose the package that best meets your needs and we will show your home the TLC that it deserves. To review a sample of our packages review the lists below. Move In/Move Out - Moving is hard enough without having to do the cleaning yourself - call us to help! Fortunately if you are like most of the residents of Sandy Springs you earn a good living. Maybe you work at one of the major employers such as IBM, Cox Enterprises, Cisco Systems, UPS, AirWatch, Manheim Auctions, Oracle. Some of your colleagues probably already use a professional maid service. What’s your time worth? Life coaches and business coaches recommend delagating chores to others when possible. Maid service buys you more time for the things you enjoy! Riverside with its winding, hilly roads, bordering the Chattahoochee River and western border with Cobb County. Dunwoody Panhandle residential area bounded by the Dunwoody city limit to the south, the Chattahoochee River to the north, Georgia 400 to the west, and the Peachtree Corners city limit to the east. Sandy Springs ITP: A small portion of Sandy Springs extends inside the Perimeter to the Atlanta city limit. Most of this area is scenic, with mansion-filled single-lane roads such as Northside Drive, Mt. Paran Road, Powers Ferry Road, Windsor Parkway, and Peachtree-Dunwoody Road in the Historic Brookhaven community. Incorporated in 2005, Sandy Springs is Georgia’s sixth largest city and the second largest city in the metropolitan Atlanta area. 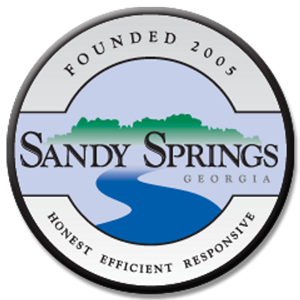 Fun Fact - There’s always something fun happening in Sandy Springs! Sandy Springs Festival, Stars & Stripes Fireworks, “Take it to the River” Lantern Parade are just some of the events you will have more time to enjoy when you leave the cleaning to Image Maids.